Summary: Head west from Tideswell on lanes, fields and on a short stretch of road to access Monk's Dale which is just brilliant to walk through and which I rank as one of my favourite Peak District dales. 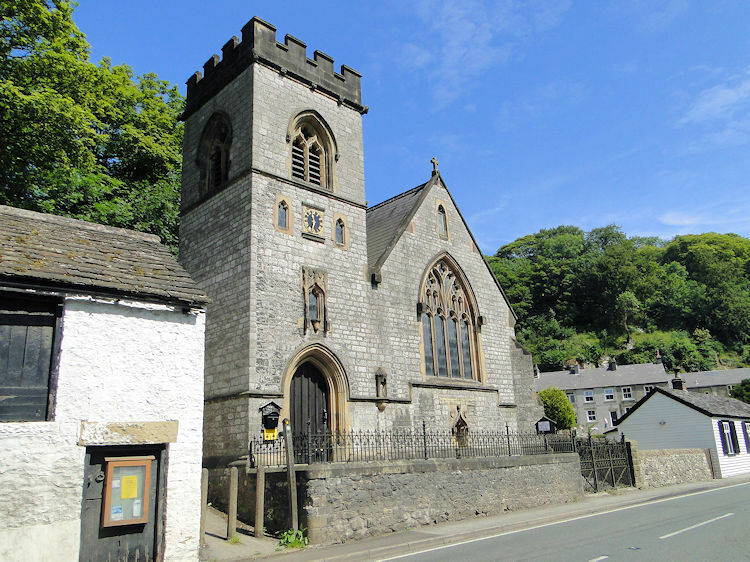 Then follow the Monsal Trail along Miller's Dale to Litton Mill before leaving the Monsal Trail to walk through Tideswell Dale back to the village which bears its name. A connoisseurs walk, a real little beauty. I would never have discovered Monk's Dale had I not plotted a line through it on the course of my Great Britain End to End walk. Fortunately I did because Monk's Dale is exquisitely beautiful. 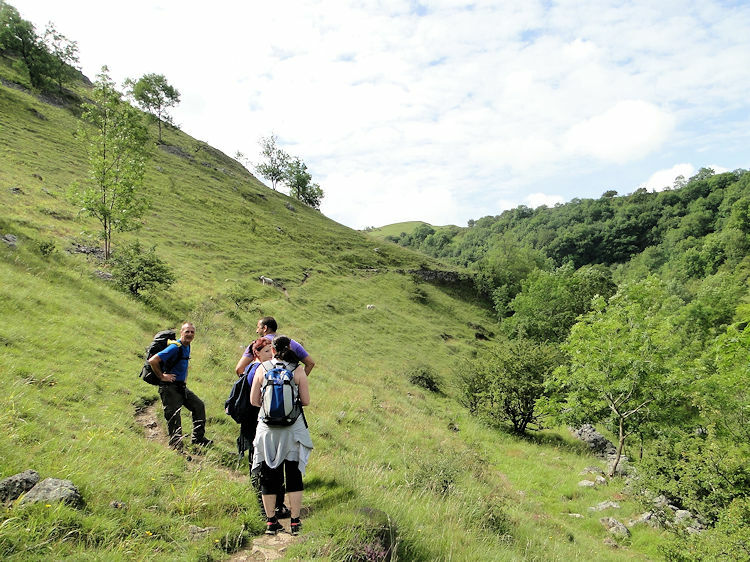 It is one of the smaller and lesser known Peak District Dales but that fact does not dissuade me from the opinion that it is one of the best - I rate it as highly as Dove Dale and Lathkill Dale, two of my favourites. 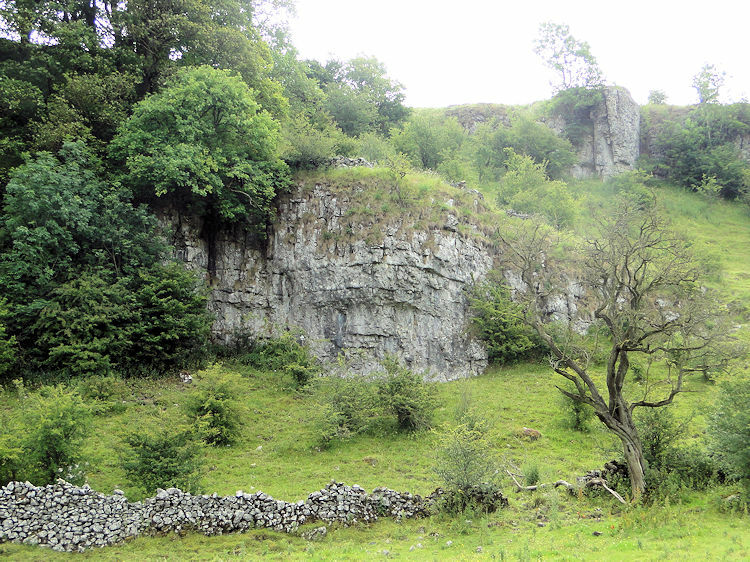 I set off to rediscover Monk's Dale from Tideswell when on a half day break from working in the Derby area. It was an impulsive decision and without having planned a route I designed the route ad-hoc from my road atlas and smart phone. It was a lovely afternoon, just like the day when I first walked through in 2011. From Tideswell I followed the Slancote Lane track west to small enclosure fields which took me across to a road junction where the Pennine Bridleway and Limestone Way cross. Keeping a course west along the quite road I soon reached a sign pointing me into Monk's Dale. The sign told me I was entering one of the five dales that form the Peak District Nature Reserve. 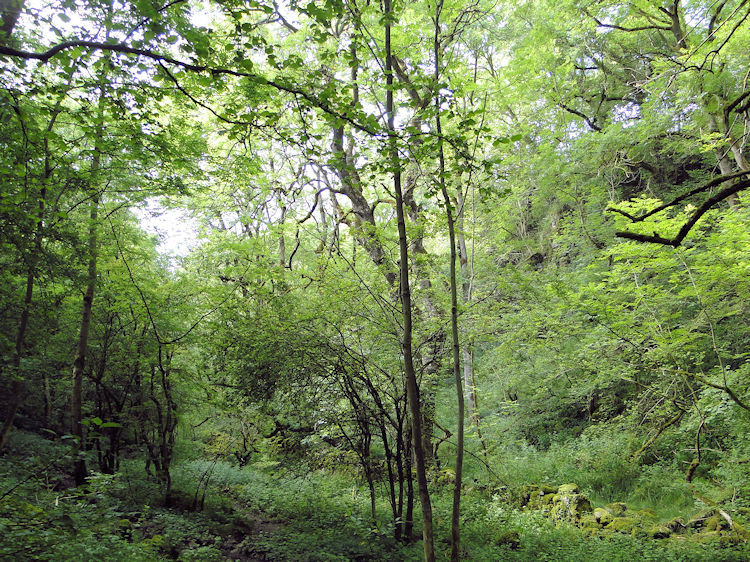 Monk's Dale is soon narrow and I wove my way through the meandering path through ash trees, dense in places and more open in some which gave me views of the limestone cliffs enclosing me in the dale. Birdsong was everywhere, it was a privilege to listen to such beautiful chirrups, whistles, tweets and caws as I walked on through the dale. The temperate was warm when I entered the dale, it was hot inside when under the canopy of Ash and so when I eventually reached an elevated section of the path I stopped for a while to look, listen and cool a little in the faint breeze that flowed through the upper levels of Monk's Dale. 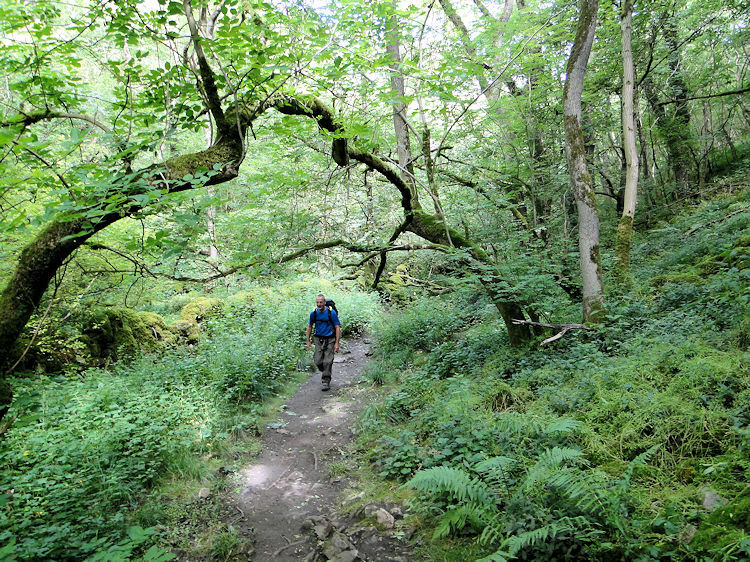 Then when sufficiently cooled I headed back down to the bottom of the dale and back into the trees. 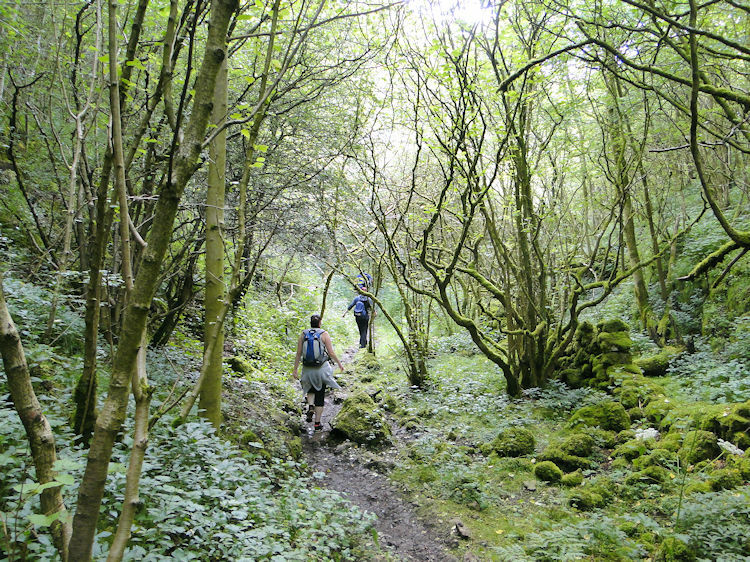 The second stretch of walking along the bottom of monk's Dale was shorter than the first and all too soon I was heading out of Monk's Dale, a short abrupt climb heralding my arrival at Miller's Dale. I mused and thought I must come a third time one day and bring Lil - I was sure she would love it just as much as I. Back to present objectives and after walking on a path at the back of some houses I came down to a road by Miller's Dale Church. Not having a full map or GPS I first walked west along the road to find how I could get on the Monsal Trail which I needed to as I wanted to walk along Miller's Dale east. However I realised that was the wrong move a back tracked to the church. 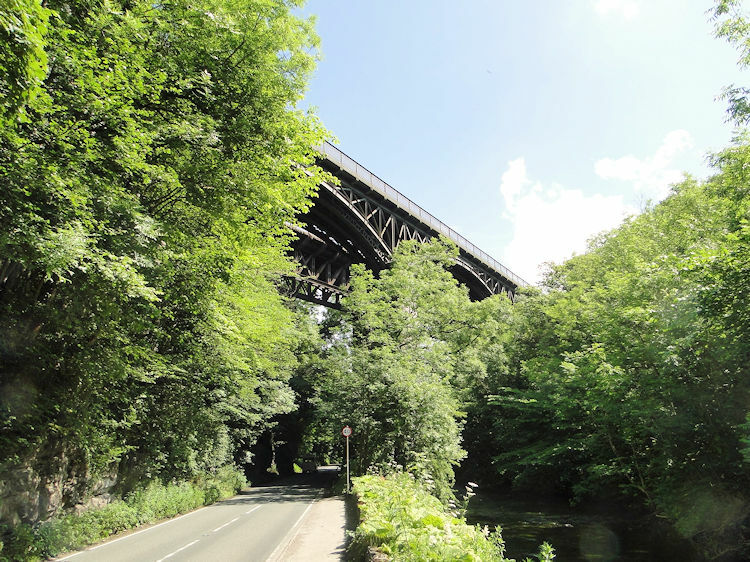 I knew I was wrong when I saw the viaduct on which the Monsal Trail crosses was way above me. Not wanting to climb the girders I continued back to just short of the church and cut onto a lower level B road past which led me to a footbridge over the River Wye and up the bank to meet the Monsal Trail. Then I followed the old railway line east for a mile before leaving it near Litton Mill from which I followed the road I had been on earlier back west for a hundred yards or so from where I accesses to Tideswell Dale track. 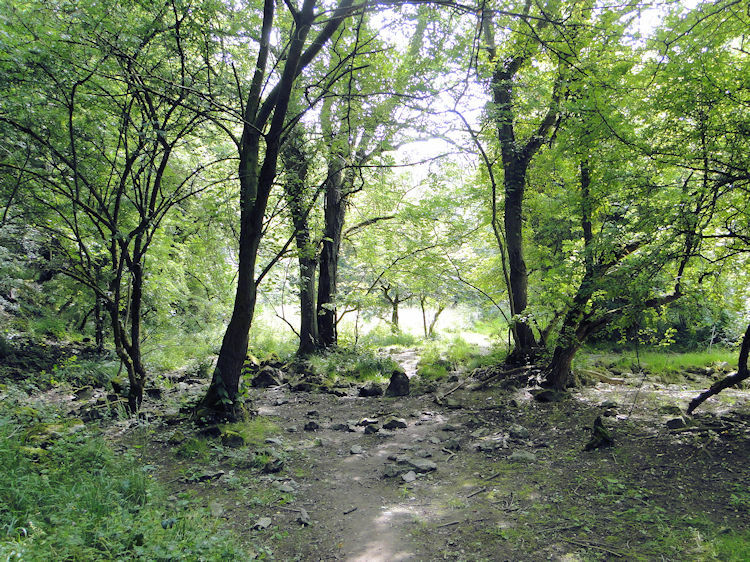 The dale has a disused quarry but I did not venture to it, staying on the bottom path which was very east to walk at the Tideswell end as it has been designed for disabled use. There are wooden tables too so if you do this walk you can stop just before reaching the village at the end of walk and have yourself a picnic. That would be a fitting end to a lovely walk on a nice day.